The inside story of Eyes on the Prize, a chronicle of the Civil Rights movement and one of the most important and influential TV shows in history, written by a former producer on the show. His book does several things at once. On one level, it’s a biography of Mr. Hampton, who grew up in an upper-middle-class black family in St. Louis. On another, it’s a lucid recap of many of the signal events of the civil rights movement. It’s also a book about how a long and complicated documentary is made ... Mr. 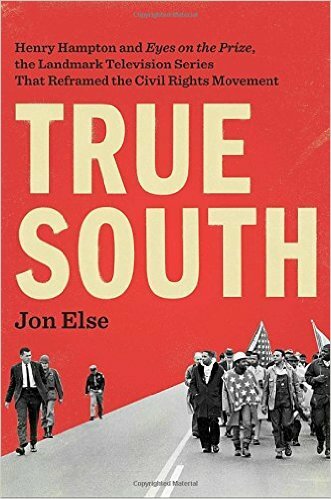 Else, who has a clear and easygoing prose style, has things to say about many topics: the bravery of the network cameramen who filmed in Selma and elsewhere; the roadblocks to documentary work set up by misguided intellectual-property laws; and the difficulty of getting old segregationists to talk on camera. I wish this book were 75 pages shorter. I wish it had gotten a bit closer to Mr. Hampton ... [a] warm and intelligent book. Mr. Else, the chief producer and cinematographer for the PBS documentary, which first aired in 1987, was the perfect person for the job: He had a deep historical, personal and emotional connection to the story. But those same close ties also explain the problems in this likable but frustrating book. Or books, since True South is really two. There’s the book that the subtitle promises, about Henry Hampton, the charismatic and enigmatic filmmaker who put together the 14-part series. But embedded awkwardly in that story is Mr. Else’s own. This second book competes with, and distracts from, the first, and as a result neither feels quite complete ... As interesting as Hampton is, for long stretches in the book he inexplicably disappears. So, too, does the process through which Eyes on the Prize was put together. Instead, there are long recapitulations of civil-rights history. That’s understandable—they’re interesting and dramatic—but not original, nor what this book’s supposedly about. Reading this book feels like reliving the great stories of a legendary party from days gone by, one that continues to inspire ... Else, a producer par excellence, is also a talented writer, even if his book occasionally lapses into what feels like TV 'voice of God' narration. His memories are rich with detail and surprisingly candid ... I can’t tell whether this book would appeal to a 'civilian,' i.e. someone who does not work in documentary, history or racial justice. I hope so, but it is hard to know; parts of it, like the 1998 demise of Blackside — after Hampton’s untimely death from lung cancer at 57 — are inside baseball. Researching and writing history can feel like a lonely pursuit these days, in an America bound and determined to erase its past and avoid the realities of racism. What did you think of True South: Henry Hampton and Eyes on the Prize, the Landmark Television Series That Reframed the Civil Rights Movement?